Get thee to a pharmacy. This wonderful pill box features a high-gloss image of William Shakespeare holding a bottle of pills. He’s encircled by a quote from Cymbeline: “By med’cine life may be prolonged. 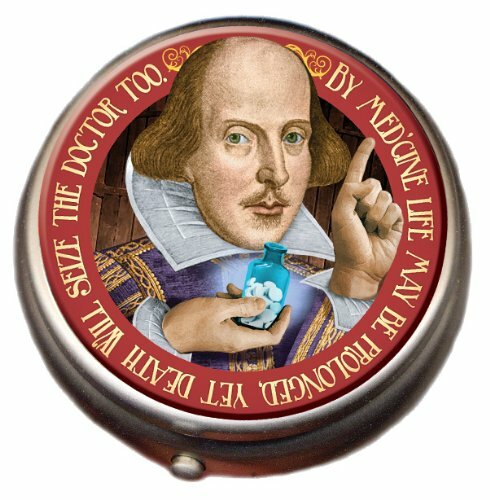 Yet death will seize the doctor, too.” The Shakespeare Pill Box has a fine chrome finish and with a secure catch to protect your pills, powders, and potions. It makes a superb gift for the literary hypochondriac in your life. Features a high-gloss image of William Shakespeare holding a bottle of pills, encircled by a quote from Cymbeline. 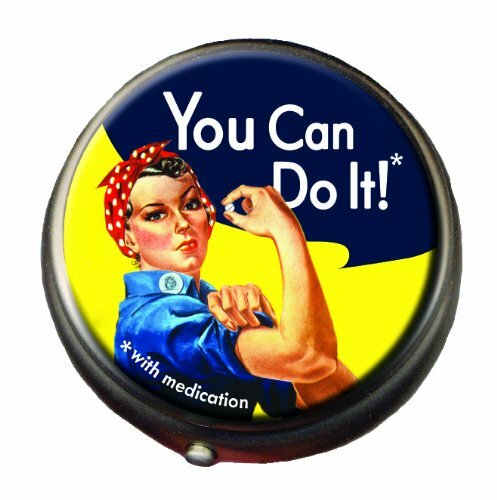 A fine chrome pillbox with a high-gloss image, and reliable spring latch clasp to keep your meds safely inside. Has two compartments, or the divider inside can be removed making one large compartment for your pills. The container is 2″ in diameter (across), and 5/8″ thick. It fits perfectly in your pocket, or in a purse. Click on “The Unemployed Philosophers Guild” near the product title to see more great gifts. UPG truly has presents of mind. The perfect place to keep your vitamins, tiny mints, or whatever pick-me-ups give you the strength and determination you need to get the job done. You can do it. 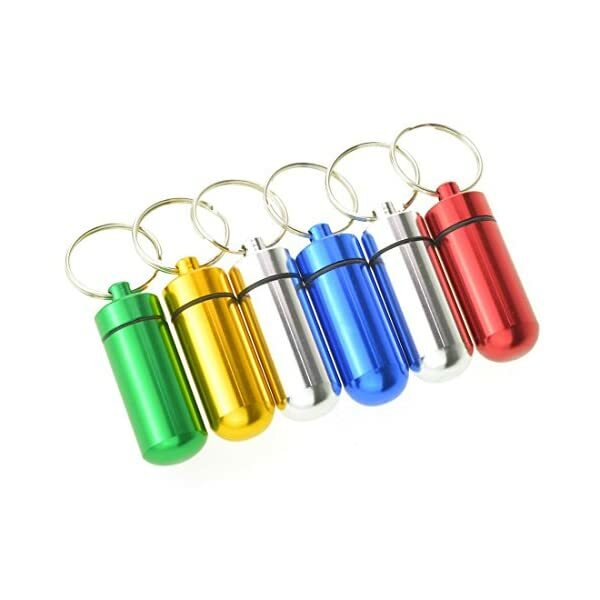 A PILL CASE FOR POCKET OR PURSE: Measures 80mm (3.15") long, 65mm (2.56") wide and 25mm (0.98") high. The Meta-U new handy pill container fits right in the palm of your hands. Offers a slim and portable design to take up less space yet keep your meds neatly and discreetly more organized. Perfect for your purse, pocket, suitcase, carry-on, gym bag, and car console. 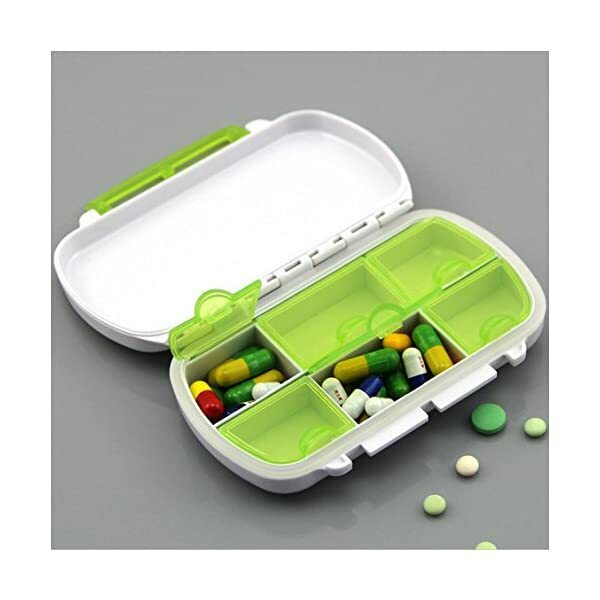 PERFECT FOR ON THE GO: This small pill holder has 3 compartments, holds different types of pills for weekend trips or outdoor activities, instead of having to pack a bunch of pill bottles all the time, your meds or vitamins can be condensed into this package. STAY CLOSED, STAY SEPARATED: Snugly close with a snap keep the pills from spilling out. The inside dividers are high enough that most pills (doesn't fit the granules or things with a diameter smaller than 4mm (0.16")) don't get mixed up when the box gets tumbled around. 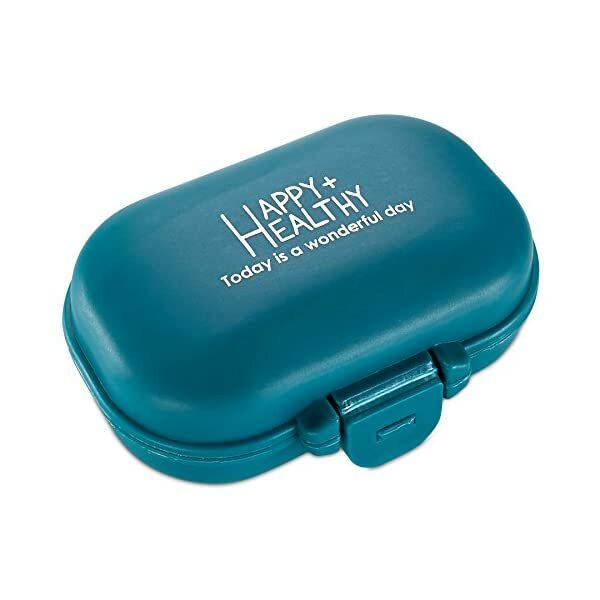 STURDY & DURABLE- Locking buckle of outer case keeps pill organizer secure, interior elastic silicon gasket keeps airtight and moisture-proof. 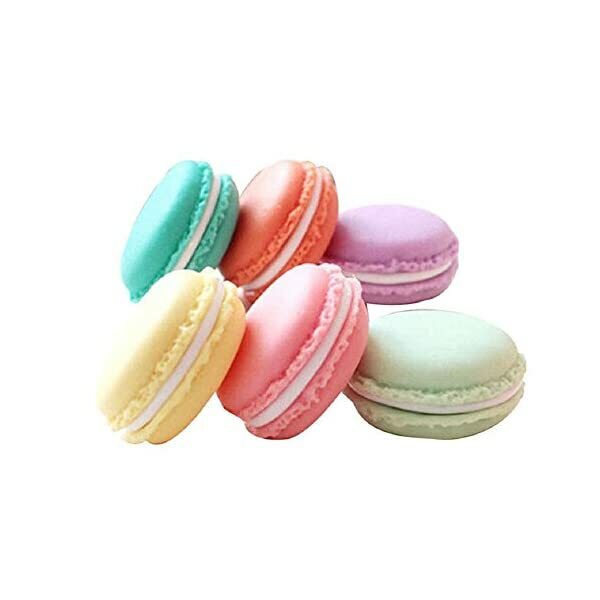 FOOD GRADE MATERIAL-Made of safe plastic material with natural wheat straw fiber ,100% BPA free. ★ NOW YOU WILL EASILY TRACK YOUR MEDICATIONS: No more mixing pills together! 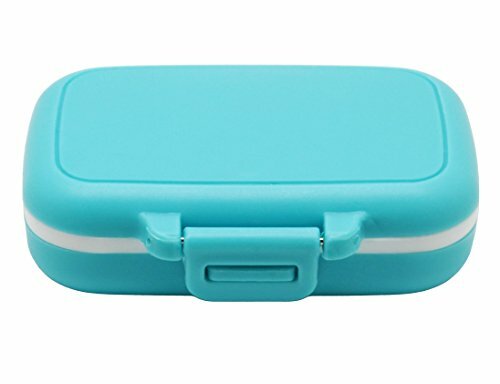 If you are looking for a the best pill box organizer this travel pill box is the perfect companion when tracking your medication plans in daily life! 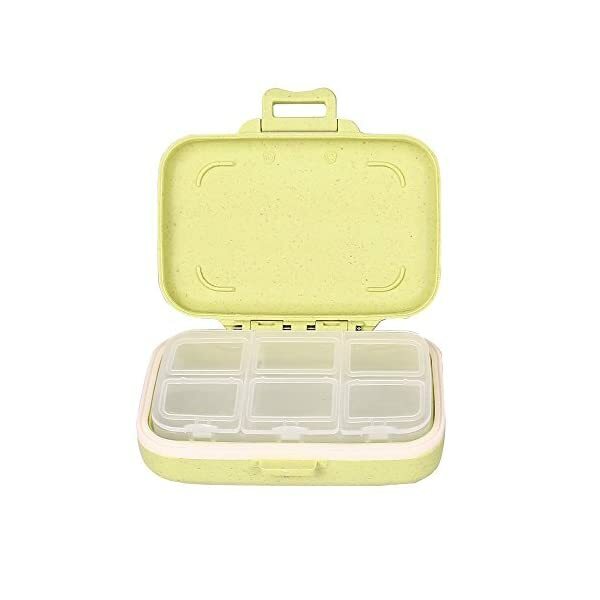 ★ BPA FREE: The MEDca Pill Organizer is made of solid food grade PP material, thats odorless and BPA free. Features an airtight seal and securely locks so pills will not spill out. 6 compartments, double waterproof protect! Perfect size, well finished, and cheap. Use them for pet id information, DRUGS, or store next tax refund.